If a sewage backup occurs inside your basement from a sewage spill or septic tank overflow, don't hesitate to call us, Stash Property Restoration, the water restoration experts! Our sewage removal services will protect your property and address all the unsanitary odors and biologically harmful chemicals by thoroughly cleaning, decontaminating, deodorizing and sanitizing all affected areas. The cleanup of raw sewage should not be done by the homeowner or by any untrained individual. When you hire Stash Property Restoration for spilled sewage cleanup, you can be confident that your family and your property will get the safest, most thorough cleanup services available. Our workers are trained to the highest industry standards, and utilize specialized equipment designed for pumping, cleaning and drying. We provide free estimates for sewage removal and disaster cleanup in Portage, Lake Station, Chesterton and throughout Chicagoland and Northwest Indiana. Contact us today to have your property inspected by one of our experts! Is your home experiencing sewage backup or are you dealing with septic tank problems? Take the safe, smart and speedy solution to sewage cleanup. 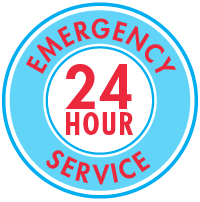 We are Chicagoland and Northwest Indiana's experts for sewage removal, water damage repair and other water emergency cleanup solutions. Call Stash Property Restoration today for a free quote for our fast and complete sewage cleanup services in Lake Station, Portage, Chesterton, South Bend, Gary, Cicero, Valparaiso, Berwyn, Orland Park, Lemont and surrounding areas of Indiana!